Shamamatul amber attar is basically extracted from Agarwood, saffron and various other spices and herbs by the process of hydro-distillation. The composition of this particular attar is Indian white sandalwood essential oil and the essence of clean baked earth. This attar has got earthy and rich smell so, it is used for the aromatherapy purposes. It is also used in the body massages to heal and soothe the body. It is known to have been originated in India. Effective in cold seasons : - Shamamatul amber attar is believed to create the warming effects on the body so; many people use this attar in the cold seasons to shield themselves from the chilly breezes. In the western countries, it is very popular as most of the times, these areas have cold temperatures. 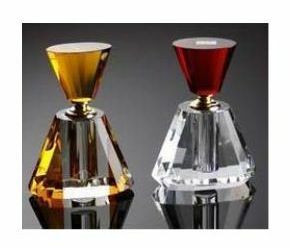 Perfume industry: - since, Shamamatul amber attar has got a very pleasant and soothing fragrance, it is used in the preparation of various kinds of perfumes. Many people prefer using the perfume in which the fragrance of this attar is added. Cosmetic industry: - this Attar is believed to have positive effects on the skin so, it is used in different skin care formulations. It has skin care properties and has got different benefits on the skin. Aroma therapies: - Shamamatul amber attar is used in the various aromatherapy treatments because it has earthy, calming and rich fragrance. The aroma and the healing effects of this attar give a piece of mind. Its application soothes the whole body and relives the stress up to a great extent. Method of extraction- this Attar is extracted from the saffron, Agarwood and other herbs and spices through the method of hydro distillation. Part of plant used- herbs and spices are used for extracting this oil. Application- people in cold temperatures apply it to keep tier body warm while aroma therapists use Shamamatul amber attar in their aroma therapy treatments. Strength & aromatic scent- this Attar has got rich and earthy fragrance.